The online version of this newsletter may be found at https://www.smore.com/g2b06. 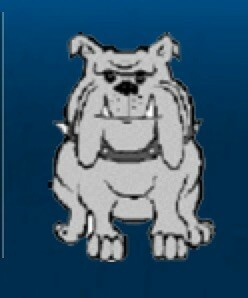 Can you believe that we have reached the point of only having twelve days of school left? The year has flown by more quickly than I could have imagined. 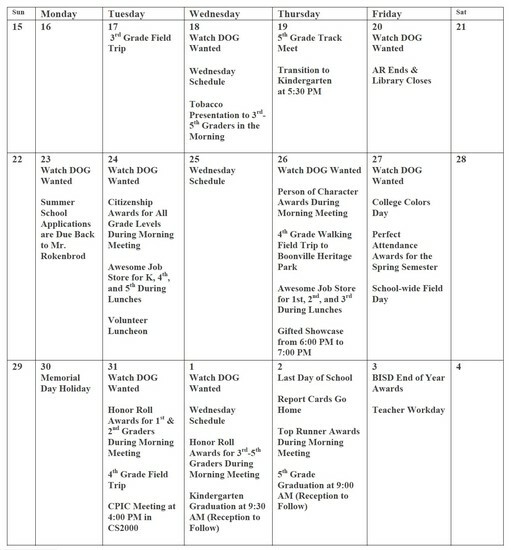 This week’s calendar has the last day of school and all of the end of year activities on it. This week’s staff members of the week are one of our hardworking paraprofessionals, Mrs. Sandra Shirley, and one of our first grade teachers, Ms. Erin Hanlon. I would like to extend a special congratulations to our fifth grade science teacher, Mrs. Julie Menard, for being selected as Bryan ISD’s May Elementary Teacher of the Month. She was recognized at last night’s Board of Trustees meeting. Our third through fifth graders will have interactive presentations from VKOT (Vikings Kicking Out Tobacco) on Wednesday morning in the gym. They will have a different run day schedule than usual, but will eat at their normal Wednesday lunch times. The fifth grade track meet is this Thursday at Merrill Green Stadium. Remember, students will be off campus for most of the day and should bring sunscreen and a hat. Transition to Kindergarten is also this Thursday at 5:30 p.m. in the library. Please share this with the parents of any incoming kindergarteners you may know. We have added an event to our calendar. On May 26th at 6:00 p.m. we will hold a gifted showcase so our students who have participated in gifted enrichment can display some of the projects they have worked on this year. Details are still being finalized, but we expect to have presentations and work on display all over the building. Summer school applications were sent home with qualifying students on May 6th. These are due back to me by May 23rd in order to secure your child’s seat in a class. Some students may be released from needing to attend based on their end of the year DRA score or their score on their second attempt of the fifth grade STAAR Math and/or Reading tests. We will share any information on changes to attendance as soon as scores are finalized. 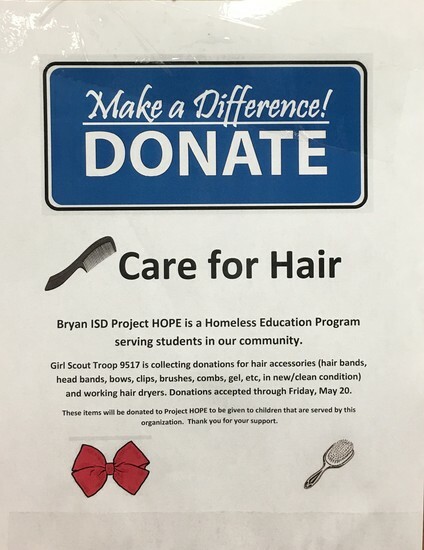 We have a collection box for Bryan ISD Project Hope in the front office. Students can drop off donations of hair accessories (hair bands, head bands, bows, clips, brushes, combs, gel, etc, in new/clean condition) and working hair dryers. Donations will be accepted through this Friday, May 20th. Please see the calendar below for more upcoming events. Thank you for your continued support of your child's education. Click on this text to view Bryan ISD's Facebook post about our STAAR Bootcamp Pep Rally on April 21st.